Hanzo Ukita is angry. His eyes burn with indignation. His voice strains as he shouts. I could handle all the screaming, but throw in the razor sharp samurai sword he’s whirling around his head and I’ll admit my nerves are starting to fray. Fortunately, I’m not the one having to face up to him. One by one they come, brandishing blades and batons, only to be beaten to the ground. Hanzo dispatches each oncoming warrior with a lusty blow. Last man downed, he turns, stares and takes a deep bow. Each vanquished foe gets to their feet and joins him. A whoop and a ripple of applause echoes around the arena. Beneath his mask, I can detect the hint of a smile on Hanzo’s face. 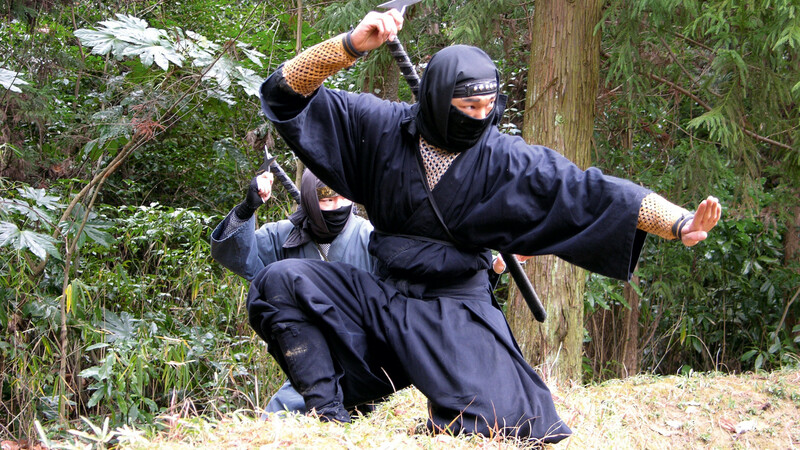 Iga, an hour by train from Osaka on Japan’s south-eastern seaboard, is where the ancient art of ninjutsu, and the ninja warriors which practiced it, first flourished. And it’s here where I’ve come to not only get a history lesson, but to see modern day practitioners battle it out for my, and the assembled crowd’s, enjoyment. Naturally, nobody’s actually taking anyone down with a katena sword, or using a ball and chain to inflict mortal damage on their opponents. In fact, the Igaryu Ninja Museum is the apotheosis of Japan’s wonderful, idiosyncratic approach, one which has seen visitor numbers to the country boom by 41% in the past year. It’s a heady blend of the traditional and, well, downright tacky. But done in the very best possible way. This, after all, is a nation which has made Hello Kitty its de facto national emblem. parlours. His next battle sees him slinging sharp-sided ninja stars at a shield-wielding female warrior, who calmly bats off the lethal ancient weapons before fighting Hanzo to the ‘death’. All this is played out with added movie-style sound effects and loud shouts, while the aforementioned soundtrack becomes more and more intense. As I sit watching from the bleachers, it’s hard not to wonder whether I should have a Nintendo controller in my hands. Show over, Hanzo lets me take to the arena and give his weapons a try. From a distance, I couldn’t be sure if they were the real deal. But the samurai sword weighs a tonne, its blade glistening in the winter sunlight. And the ninja stars are lethal, make no mistake. When I’m handed one to throw at a target, I’m glad I’m wearing gloves. While there’s certainly no doubting its appeal to fantasy-mad kids, young and old alike, Iga’s ninja history is taken seriously. 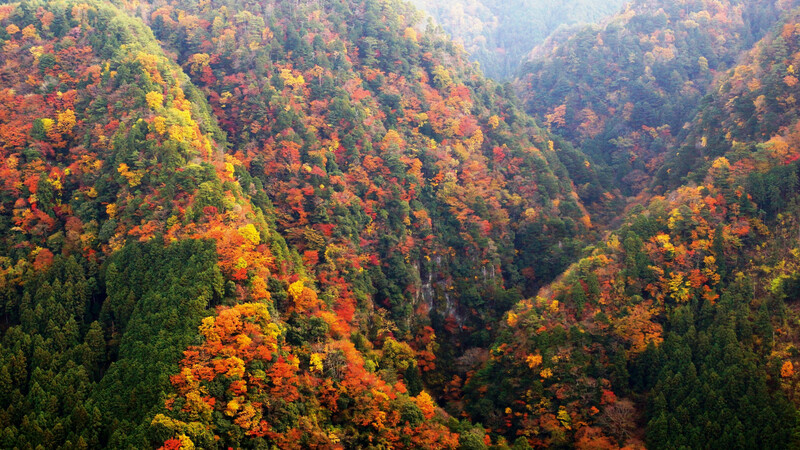 The museum is within the grounds of Iga Ueno castle, its high walls affording huge views over Mie Prefecture, an area steeped in history but easily missed off of shorter itineraries that take in Kyoto, Nara and Osaka. The art of tricks and espionage developed here was key to Japan’s feudal history, in a time before the country traded with the west. 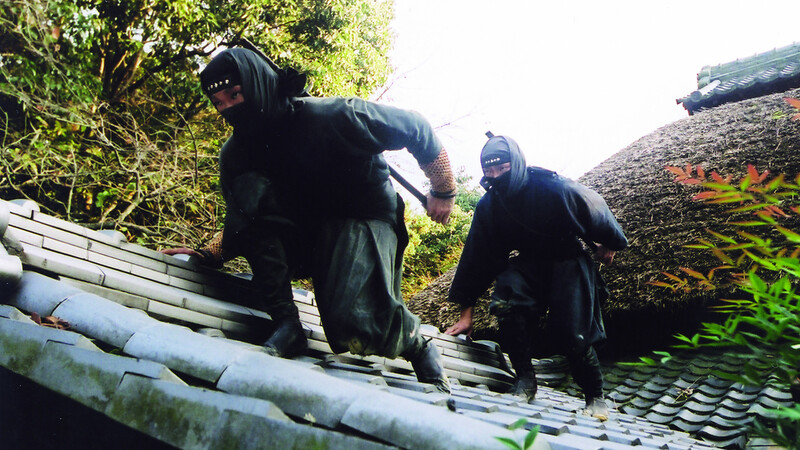 Although the stealth tactics of ninjutsu were first developed in India and moved across China and Korea into Japan over thousands of years, it wasn’t until the beginning of the Edo period in 1603 that Iga became a centre for its practice. This becomes increasingly clear as Hiroe moves from hidden panel to false ceiling to fake wall, showing off the techniques used to keep information from getting into the wrong hands. Although from 1603 Japan was essentially one country, its warring daimyo, or lords, confronted each other regularly, using ninja farmers to do their dirty work. 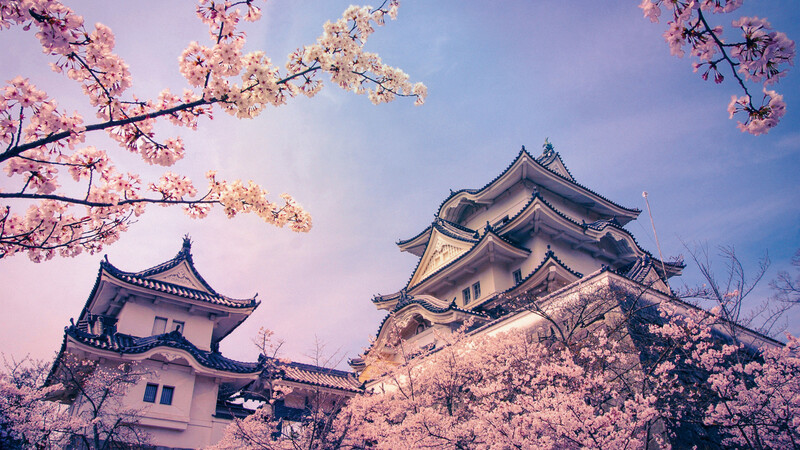 It wasn’t until the daimyo’s domains became today’s modern prefectures, following political changes in 1868, that this world of feudal fighting died off. 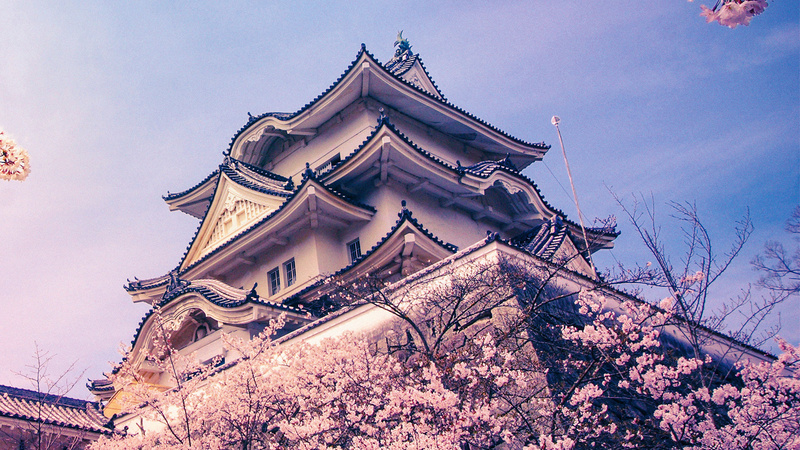 Famous for its role as the ‘nation’s kitchen’, Osaka serves up so much more than just its mouthwatering kushikatsu. An ultra-urban labyrinth composed of futuristic architecture, blinding neon signage and bustling arcades littered with pachinko (pinball) parlours – it’s often overlooked by tourists. Yet Japan’s third-largest city can be counted on to provide the warmest welcome; the city’s towering high-rise buildings are home to the down-to-earth Osakans, who pride themselves on being more free-spirited than their neighbouring Tokyoites. Since the Edo period, the city has maintained its mercantile past, favouring a ‘customers come first’ approach. The shopping in Namba Parks backs this up, while nearby Amerikamura has an edgier feel, with its selection of zany vintage wares. 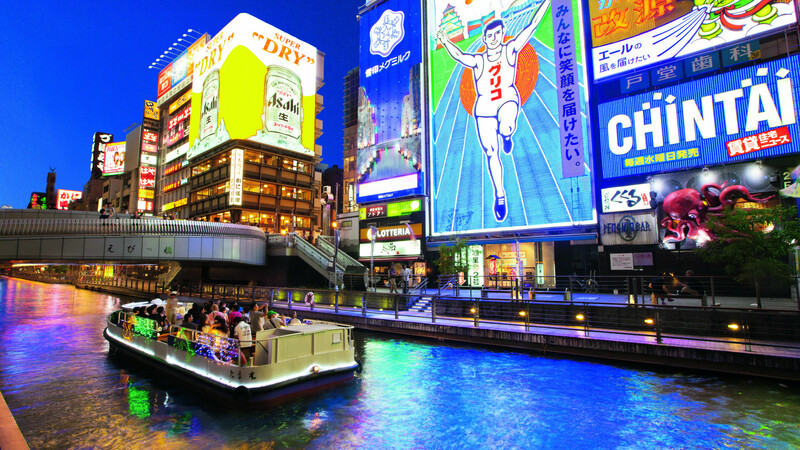 Also unmissable is the Dotonbori district, a haven for foodies and party people alike. Umeda is another great place to find yourself at sun-down, with plenty of bars catering for gaijin (foreigners). It could be easy to head back to the bright lights to Osaka after Hanzo’s performance and Hiroe’s history lesson. But Iga isn’t just about its feudal past. This is also a place that loves to eat. And so rather than be drawn in by all that neon, I lay down my weapons and head into Iga city to try the area’s famed beef. 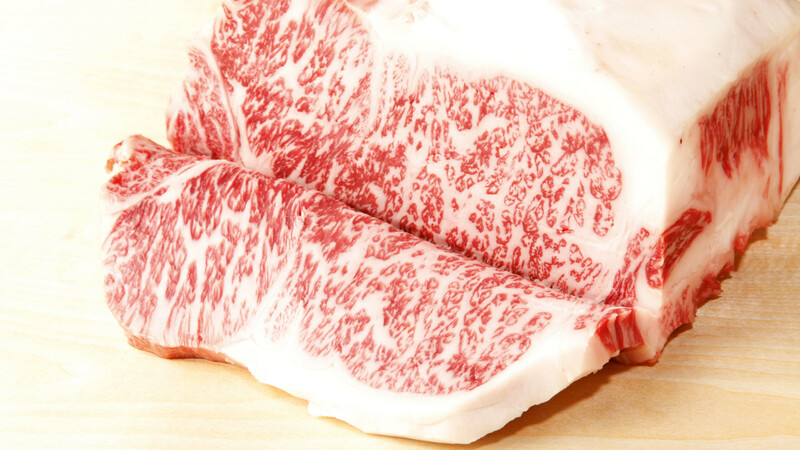 “You’ve heard of Kobe beef, right? Well this is better,” boasts my guide Okamura, showing me into Isenoya, a traditional Japanese inn nestled away down a quiet backstreet. Women in kimono light flames beneath a fragrant broth before presenting me with enough meat to feed a small family, and a pile of freshly foraged mushrooms. Once the broth bubbles, I carefully lay the meat in, inevitably burning my tongue thanks to my second rate chopstick skills, an entire cut slobbering into my mouth as I forget my manners in this most polite of places. The beef is followed by huge bowls of rice, miso soup and glasses of Asahi beer. It’s undoubtedly one of the best Japanese meals that I’ve ever had. The restaurant is quiet and as I explore its private tatami rooms after sampling the local sake, I keep an eye out for hidden panels and watching ninjas. I can’t find any, but then surely that’s the point. Sated, I head back out into the Iga night, unable to shake the feeling that those ancient warriors are still keeping an eye on this overlooked city in a little known corner of Japan. Hanzo and his fighting skills have left quite the impression. Or maybe it’s just the sake.